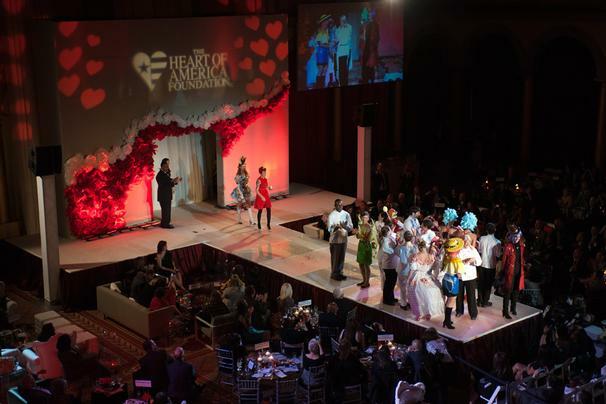 There are few events in DC as highly anticipated as the Charity in Chocolate benefit fashion runway show hosted by The Heart of America Foundation. The show pairs tasty treats from over 50 tasting stations with a grand finale chocolate fashion show. Yes, you read that right, chocolate . Ever watched a Food Network special, or even a Project Runway episode, of delicious wearable-meets-eatable clothes and think, hmm, wonder if that could really be done in real life? Well my friends, it can, and I'll find out just how real, intricate, and drool-worthy these outfits are at the event on Friday September 6.